who called him a liar for guaranteeing that while in office, he somewhat conveyed the environmental assets to states that he had enthusiasm for. 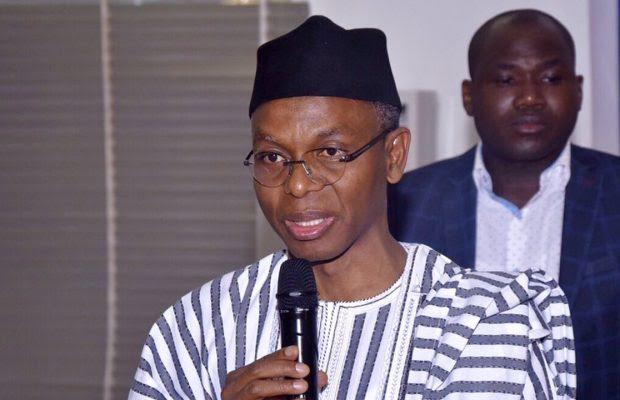 El-Rufai had at the end of the national economic council (NEC) meeting in Abuja last Thursday, spoke to state house correspondents and alleged that Jonathan was partial in the disbursement of the ecological fund while he was in office. “What President Goodluck Jonathan did was to take N2 billion each from the ecological fund and gave to some PDP states. Any PDP state that was not his friend, like Kano and Kwara, didn’t get,”. GEJ through his media aide, Ikechukwu Eze, released a statement responding to this claim. In the statement, said there is no truth in El-Rufai's claims. He described the governor as a liar. "Former President Goodluck Jonathan is not a man that can take responsibility for anything. In March 2015, not long after making a concession call to President Buhari, he summoned his party and asked its leadership to reject the results of an election whose winner he had congratulated in private. That effort at duplicity failed spectacularly and the will of the people prevailed. So, no one should be surprised that he is denying presiding over the skewed distribution of ecological funds. His denial begs the question. What special circumstances ensured that only states that were controlled by the PDP and its allied parties qualified for N2bn each? Is it not curious that not only were his allies the only ones who got the funds, but that the various ecological problems in all 17 states required the same N2bn across the states? Almighty God made it possible for the Sun to shine on all. But Dr. Jonathan exercised his powers as president as if he governed for only his party or his family. The Jonathan government was so conscious that there was something untoward with sharing public funds in that manner that they did not publicize the payments to their preferred states. Dr. Jonathan cannot argue with the facts. The payments are in the records of the Ecological Fund. He knowingly engaged in discriminatory disbursement of federal funds. The legality of that is open to question, despite the existence of presidential discretion. Thankfully, Dr. Jonathan did not deny that the N2bn payments were skewed to certain states. His mindset in trying to create an equivalence between those payments and federal support for the green wall projects in some of the northern states can be easily seen as a disingenuous argument. Dr. Jonathan claimed El-Rufai is a liar, quoting sources that did not once mention any lie that can be attributed to him. One of El-Rufai’s identified weakness in the Nigerian political space is his bluntness and fidelity to principles. Even his enemies admit that grudgingly about him. Malam Nasir El-Rufai will not allow Dr. Jonathan to make him the issue when the criteria the former president used in allocating N2bn each to allied state governments remain so murky. There is no need to cry wolf before the Final Report of the Committee is presented".